Educational Qualification : BVSc./BVSc. & AH degree from any recognised Indian University or equivalent. 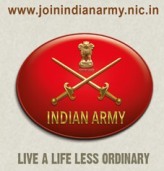 Method of Selection : shortlisting of applications will be done at Directorate General Remount Veterinary Corps, those found eligible will be called for SSB on a specified date. On arrival at the SSB, the Shortlisted candidates will be administered stage-1 of the two stage testing procedure. Those who qualify will be detailed to undergo Group Test, Psychological Test and Interview which will extend for a duration o 5 days. Candidates recommended by the SSB will go under Medical Examination by a Board of Service Medical Officers.